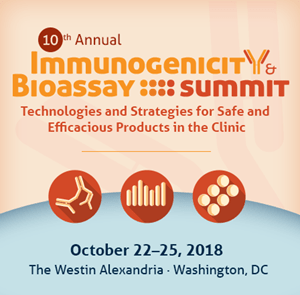 Now in its 10th year, CHI’s Immunogenicity & Bioassay Summit will examine the challenges currently facing the industry and will provide NEW case studies, NEW perspectives and NEW approaches. You will hear from the industry, academia and the regulatory authorities. This year we present 3 Conference Programs, a Symposium, Training Seminar and many short courses for in-depth study, as well as interactive breakout discussions for sharing of experiences and ideas, and excellent networking opportunities.